 One and two-bedroom apartments offer the luxurious amenities you are looking for. Full-size gourmet kitchens will be enhanced with granite countertops, stainless steel appliances, and a breakfast bar to enjoy your company while you cook. The open floor plan will feature large windows and a private balcony to enjoy the outdoors. Located in the Town of Colonie, the "Crossroads of the Capital District," the community offers a convenient commute to businesses in Latham, Clifton Park, Troy or Albany. Maintain your active lifestyle while being close to all the Capital Region has to offer.